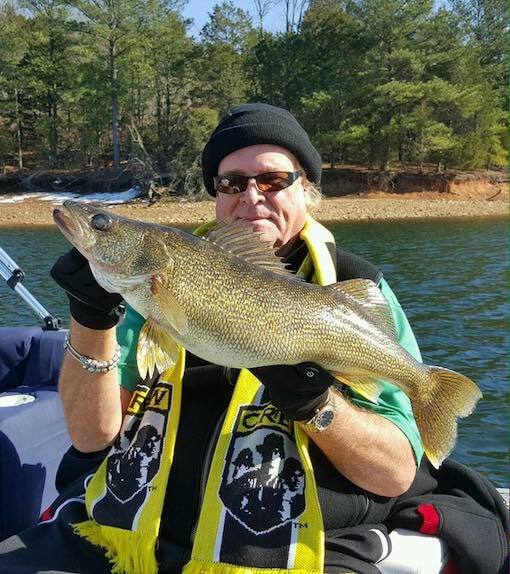 Fishing on Dale Hollow Lake could lead to a world record! It certainly did for David Hayes, whose 11 lb. 15 oz. catch in 1955 netted him the world record that has not been topped yet. For the story of Hayes’ record, click HERE. It’s encouraging to anglers that three of the heaviest smallmouth ever recorded have come from Dale Hollow! 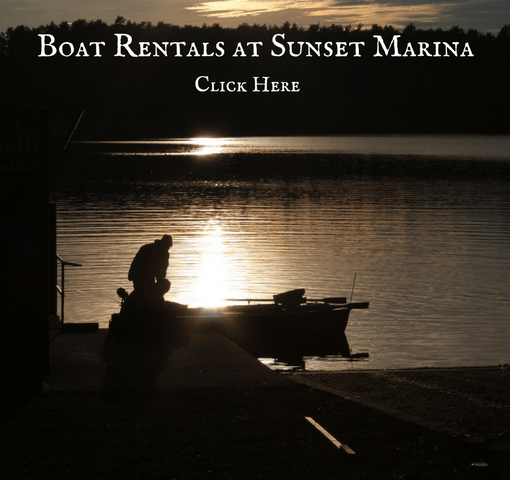 We invite you to visit Sunset Marina and test your own fishing skills. 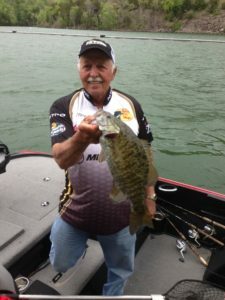 In addition to yielding record-breaking smallmouth bass, Dale Hollow has produce d many outstanding catches of other fish, including walleye, largemouth bass and trout. 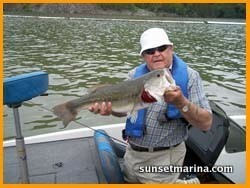 More trophy smallmouth have been taken from Dale Hollow Lake than any body of water in the world. 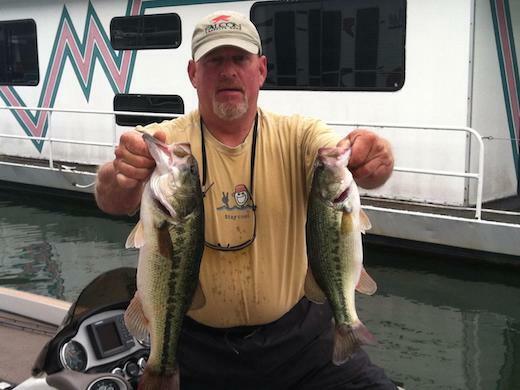 Dale Hollow’s deep clear water holds many trophy largemouth and spotted bass. In fact, spots over 5 pounds are caught every year. 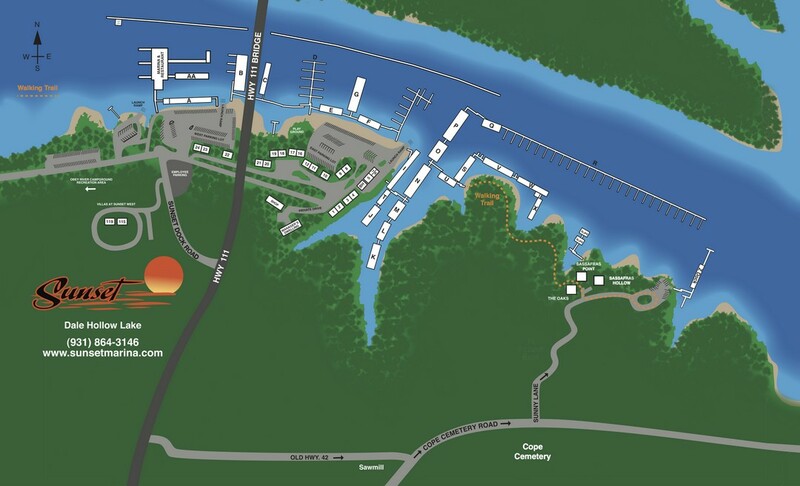 Sunset Marina is located in Tennessee near the Kentucky state line, and Dale Hollow Lake is located in both Kentucky and Tennessee. Fishing licenses are required in both states. For the convenience of Dale Hollow Lake anglers, a reciprocal fishing agreement provides for sport fishing licenses from either state to be valid in the Wolf River beginning at the state line as it crosses the Wolf River. Creel limits and other regulations of the state where the license was issued apply. Special permits are required in each state for trout fishing. Browse Tennessee’s wildlife and fishing guides here. Billy Mason, a longtime cabin guest from Milford, Ohio, caught this nice 6 lb. 13 oz. largemouth on Dale Hollow Lake. Mr. Mason said he loves to fish during the high water. This beauty was caught out of the bushes. Sunset Marina rents fishing boats of all types and carries many of the supplies you will need during your fishing trip in our marina store. Our selection of cabin rentals are perfect for anglers, whether you are on Dale Hollow for some solitary fishing or visiting with a group. Information provided by the U.S. Army Corps of Engineers can help you plan your fishing trip. Click HERE for details. Here is a link to the Tennessee Wildlife Resources Agency that explains more about Tennessee’s fishing regulations. 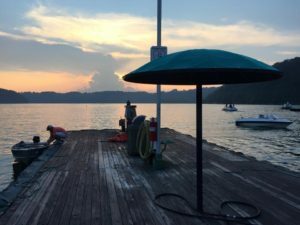 Licenses may be purchased online or at County Clerk’s offices, marinas and many other commercial establishments in both Kentucky and Tennessee. For information about how to purchase a Tennessee license online, click HERE.